From from the women’s 5000m heats through to the men’s 200m final, here’s a detailed guide to the action on day seven of the IAAF World Championships in London. Want to know what else is coming up? Check out our day-by-day guide here and see the August 3 edition of AW magazine for full event-by-event previews. Times stated are local (BST) and were correct at the time of publication. The first five from two heats and next five fastest qualify for final. World leader Hellen Obiri goes in heat one alongside Laura Muir, plus world 10,000m champion and 5000m defending champion Almaz Ayana. Also in the field are European champion Yasmin Can and Ethiopian Senbere Teferi. The second heat features 1500m world-leader Sifan Hassan. Olympic finalist Eilish McColgan and world finalist Steph Twell could benefit by being in the second heat knowing what they have to do. For qualification a throw of 83.00m or top 12 is required. World leader Johannes Vetter is in Group A and fellow German and Olympic champion Thomas Rohler is in Group B. There are no Britons throwing. A height of 1.94m or top 12 is required to make the final. Morgan Lake and Katarina Johnson-Thompson (hoping for much higher heights than in the heptathlon) compete for Britain. The big event favourite is Russian world leader and defending champion Maria Lasitskene, competing as a neutral athlete. The first three in each heat qualify along with the six fastest losers. In heat one the fastest is US champion Ajee Wilson. British champion and world finalist Shelayna Oskan-Clarke is in heat two along with world silver medallist Melissa Bishop. The third heat features world leader and Olympic champion Caster Semenya. The fourth heat has defending champion Marina Arzamasova up against former European champion and Olympic finalist Lynsey Sharp. With former champion Eunice Sum’s withdrawal, Charlene Lipsey of the USA, is fastest in heat five. The sixth heat should see a win for Olympic runner-up Francine Niyonsaba and Britain’s Adelle Tracey will need to be at her best to make it through. 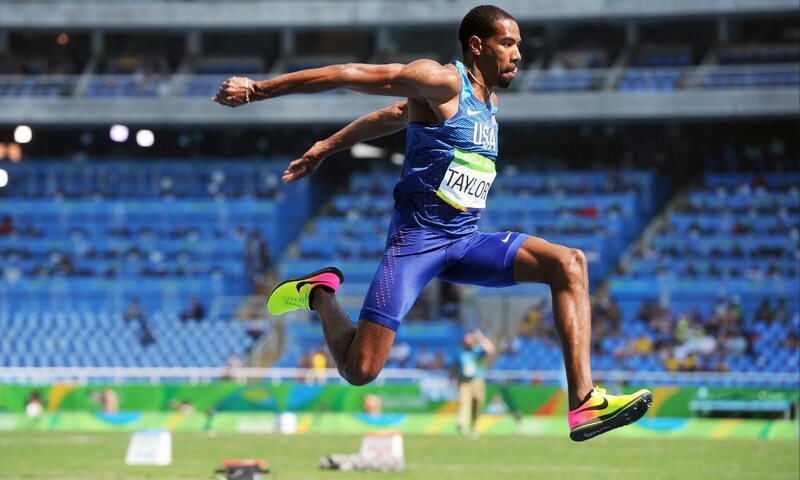 Everyone expects world and Olympic champion Christian Taylor to win and in good conditions he might want to challenge Jonathan Edwards’ 22-year-old world record. Will Claye would be a double Olympic champion but for Taylor and is the obvious choice for second spot again. A US clean sweep is possible with Chris Benard also in form. Cubans teenagers Lazaro Martinez and Cristian Napoles and their compatriot Andy Diaz are all serious medal contenders. The 2008 Olympic champion Nelson Evora is also in the field. The first six from each heat and the six next fastest make the semi-finals. Britain’s NCAA and European junior champion Josh Kerr has a tough task against world leader Elijah Manangoi, defending champion Asbel Kiprop and Olympic champion Matt Centrowitz. The second heat has Britain’s London Diamond League winner Chris O’Hare up against world junior record-holder Ronald Kwemoi and double Olympic medallist Nick Willis. The Oslo Diamond League winner Jake Wightman, 3:29.10 Kenyan Timothy Cheruiyot and European champion Felipe Ingebrigtsen run in heat three. The first two from each heat and the two fastest qualify for the final. Defending champion Dafne Schippers should dominate heat one. Heat two has Bianca Williams up against Bahamas’ Olympic 400m champion Shaunae Miller-Uibo. AW prediction last week: 1 Muhammad; 2 Little; 3 Hejnova. Today: 1 Muhammad; 2 Hejnova; 3 Carter; 4 Watson; 5 Tracey; 6 sprunger; 7 Doyle; 8 Tate. This looks a very open final. The lane order is Britain’s sub-20 man Nethaneel Mitchell-Blake (PB 19.95), 400m champion Wayde van Niekerk (19.84), Justin Gatlin’s training-partner Isiah Young (19.86), Olympic finalist Ramon Guliyev of Turkey (19.88), world-leader Isaac Makwala (19.77), Trinidad’s semi-final winner Jereem Richards (19.97), Japanese junior Abdul Hakim Sani Brown (20.32), US champion Ameer Webb (19.85). Based on the semi-finals, Richards is a marginal favourite. AW prediction last week: 1 van Niekerk; 2 De Grasse; 3 Blake. Today: 1 Richards; 2 van Niekerk; 3 Guliyev; 4 Young; 5 Makwala; 6 Mitchell-Blake; 7 Webb; 8 Sani Brown.